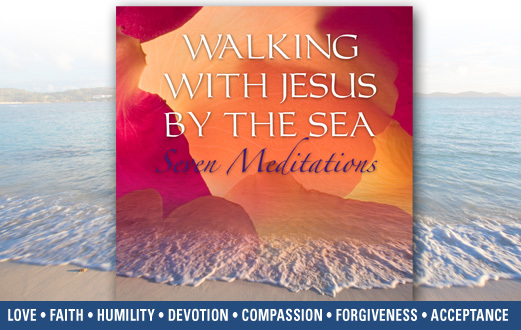 Walking With Jesus By The Sea helps you know Jesus more deeply within your own heart, as he offers love, wisdom, and support in every guided meditation. Walking with Jesus by the seashore, you’ll explore your life together, as he works with you on your challenges, celebrates your triumphs, and helps you uncover new meaning in your life. Through this journey, you’ll come to know Jesus more and more, as you feel his presence grow stronger with every listening. There are seven great spiritual principles that resound through all of the world’s religions: Love, Faith, Humility, Devotion, Compassion, Forgiveness, and Acceptance. In this program, you’ll explore these principles with Jesus, step by step. Wherever you find yourself on your path, this powerfully moving program can help deepen your connection to Jesus, open your inner vision, and expand your heart. Whether you relate to Jesus as a spiritual teacher, great master, or path to God, this course will help you know him, and yourself, more completely than ever before. "Walking With Jesus By The Sea" includes my favorites among all the Highstein meditations. These are the ones that have helped me the most to go deep into a meditative state in a very positive way. Not only is this package an incredible bargain, but the seven different episodes are a creative way to make contact with a towering spiritual figure. I love to delve into the individual topics and to just relax in spiritual cathexis with an old friend who happens to be the nicest guy who ever lived!" "My favorite meditation program has been Open Your Heart with Jesus. I had been looking for a guided mediation that involved walking on the beach with Jesus for a long time. I have always been so inspired by the “Footprints in the sand” poem by Mary Stevenson. A few days ago I found your guided meditation course “Open Your Heart with Jesus”. You have no idea how excited I was to find this! And just in time for Christmas! It is truly beautiful and I walk on the beach daily with Jesus!" "I just love all your spiritual meditations. They really help me to open my heart and listen to it. The voice from "Visiting Saint Francis" is just perfect and all these meditations are just priceless! You have really changed my life for better and I will always be grateful for that. Thank you." "I just finished my journey with Mother Mary [ Visiting Mother Mary ] listening to your brilliant meditation. Your voice is beautiful and carries in it the true connection with God. I could feel the energy coming through you along with the words and it caused an instantaneous opening in my heart that was effortless and a huge energetic inflow of love. I haven't spent much time with Mother Mary before this. Now she is in my heart and I understand what she represents and what she offers. So thank you thank you thank you." "I am on lesson 10 [Open Your Spiritual Heart With Saint Francis] and my heart is opening more and more each day. Learning more about the inspirational Saint Francis is an incredible experience! These daily lessons are truly life changing for me and Max Highstein's voice is so comforting during the guided meditations! 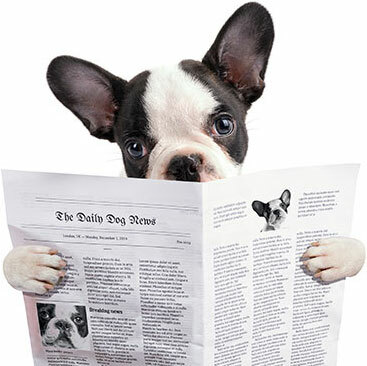 l Love this course, and I am so grateful to have found it." "I got to hear Visiting Mother Mary at a workshop this week. It was AMAZING! I felt so strongly Mother Mary's presence and her energy running through me. It has stayed with me for days. I had to get the download so that I can play it for my friends. Just the sound of your voice puts me into a completely different space. So calming, peaceful and healing. Thank you so much for doing this. It's much more than a meditation." "Well its day 8 and all i can say is wow! Every day a deeper appreciation and communion with all of life occurs. Thankyou to everyone involved in this course - I feel such bliss." "Your meditations are wonderful! Besides selling them in the gift shop, we recently used them on a contemplative retreat. For two of the Vespers services I substituted your guided meditations on Mary and Francis for the readings. After listening to the Mary meditation, I looked out, and just about every person in the room was wiping his or her eyes. The meditation so moved them!!! One woman, a 70 year old, came up to me as we were walking to the dining room and said, 'In all of my life I have never experienced the presence of Mary as I did during that meditation.' Then she added, 'That narrator's voice sounded so beautiful!' There was a similar response from the people the evening after we used the Francis meditation."